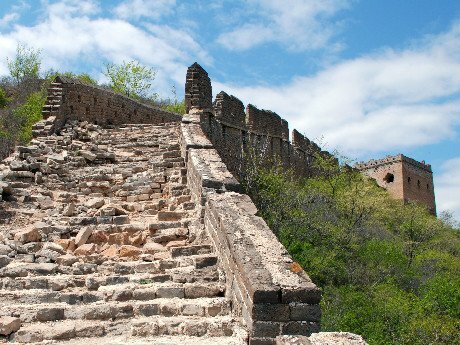 Hike along the Jinshanling Great Wall to enjoy the original Wall (unrepaired and quite-well-preserved ruins). There will be no crowds around you, so you can get the most out of China&apos;s legendary landmark as you tread the Wall&apos;s centuries-old stone steps or walk through a ruined ancient watchtower. 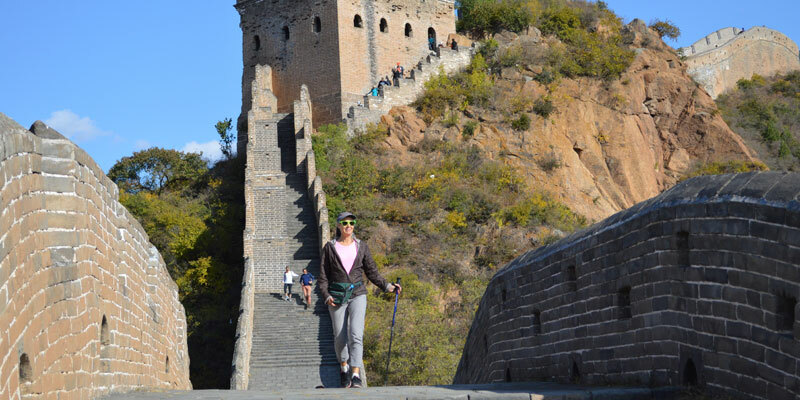 This one day Jinshanling Great Wall hiking tour is private. Your own personal tour guide will hike with you all the way. Your guide will respond to your requests with flexible arrangements to make the most of your time. Hike on an unrepaired section of the Great Wall with no crowds. Walk through original ancient watchtowers of various styless. Take great photos of the most photogenic section of the Great Wall. Our guide Barry was an incredible guide, spoke great English and gave us wonderful information and answered all our questions. He was so friendly, and we had such a great time. After our hike (several hours), we went to a great local place for lunch. Barry ordered a bunch of dishes for us and we had a great little feast:). Your private guide will meet you in your hotel lobby at 8:00 am. If you would like to start from the airport/train station, we will be happy to arrange a pick-up there. A comfortable vehicle with an experienced driver will be ready for your private Jinshanling Great Wall hiking tour. It takes about 2½ hours to travel to the Jinshanling section of the Great Wall from Beijing. First, you will mount the wall via an unrepaired watchtower called Houchuankou. 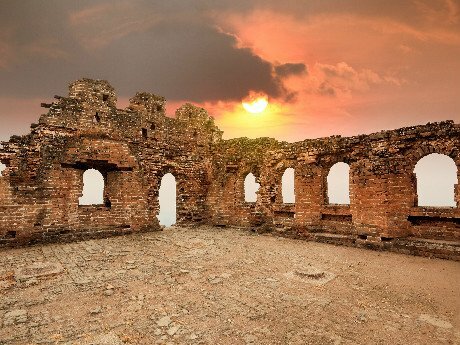 From the first tower at Houchuankou onward, you will see the unrepaired ancient watchtowers and broken sections of wall during your hike in the first hour. This section isn&apos;t in very good condition but, nonetheless, gives you a sense of what it would have been like in its original glory. You will stop to take in the amazing view from one of the highest points you will reach during the day. You can also take a rest when you have passed through several towers that offer shade. Gradually, you will encounter the restored part of the wall. You will see many watchtowers of various styles that are in good condition. Hiking along this thoughtfully restored section of the Great Wall will transport you back in time to the heyday of imperial China. Ultimately arriving at Zhuangdaokou, you will then descend from the wall and walk down a short path to the area where you will have lunch. There is a local restaurant at the base of the entrance to Jinshanling, offering traditional local dishes. Your guide will help you to order the dishes you like. Going back to your hotel in Beijing normally takes about 2½ hours. Your guide and driver will transfer you to your hotel at the end of the tour. If you need to catch a flight or a train after the tour, we are more than happy to help you arrange it. Would you like to make your tour more unique? 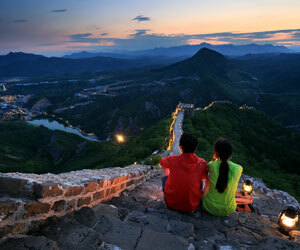 Why not enrich your tour by staying at the Great Wall for a night. Feel free to ask your personal travel advisor to add it for you. After the hike, stay overnight in a resort hotel in beautiful Gubei Water Town, just below the Great Wall at Simatai, and take a relaxing night tour of this Great Wall section. Gubei Water Town is about 30 minutes&apos; drive from Jinshanling. It is by a scenic reservoir and looks up to the Simatai section of the Great Wall. 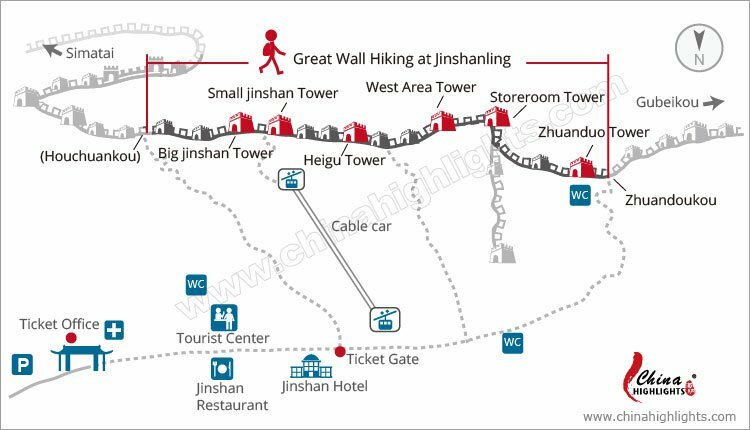 Jinshanling to “Simatai West” hiking is basically hiking to the east end of the Jinshanling Great Wall section (this tour). Jinshanling and Simatai are adjacent sections of the Great Wall. At present, tourists aren’t allowed to go past the dividing line between Jinshanling and Simatai, referred to as "Simatai West" or "the Jinshanling Great Wall East Gate". This tour is very flexible. You can alter the itinerary and extend it to suit your schedule. For example, you can decide the pick-up and drop-off spots or add more activities to enrich your day.